Small-Town Murder In Sarah Graves' Eastport The Eastport, Maine, Sarah Graves ladles up for her readers in her Home Repair Is Homicide series is picturesque, but not picture-perfect. In fact, it's a lot like the small town the author calls home — give or take a few dead bodies. Morning Edition resumes its Crime in the City series. In the nation's easternmost city, home repair and homicide compete for the attention of Jake Tiptree, Sarah Graves' fictional private investigator. 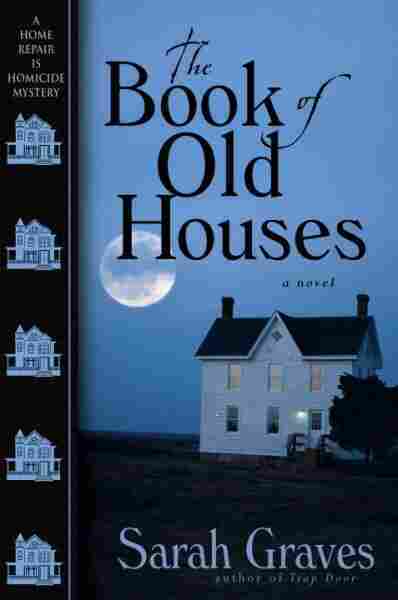 Read an excerpt from Sarah Graves' novel, The Book of Old Houses. Mystery readers often distinguish between hard-boiled mysteries and "cozies," such as the Home Repair Is Homicide series, which takes a slightly sunnier approach to crime. Graves describes the "cozy" attitude as, "One that justice of some sort will eventually prevail." Sarah Graves describes the elements of a "cozy" mystery. Graves' Eastport is picturesque, but not picture-perfect. In Eastport, Maine, the nation's easternmost city, rugged coves and weathered clapboard houses provide a perfect setting for homicide — at least of the literary sort. Mystery writer Sarah Graves has set all 12 of her novels on this remote island. Graves first traveled the long causeway that connects Eastport to the mainland more than a decade ago. Back then, she was a commercial writer who went by her given name — Mary Squibb. She was ready to ditch Manhattan in favor of a writing life, and she had the first Eastport mystery in her head, all ready to write, before she moved to town. "I have no idea how I expected that would happen," says Graves, "but ... we moved here and it did. It was fate." 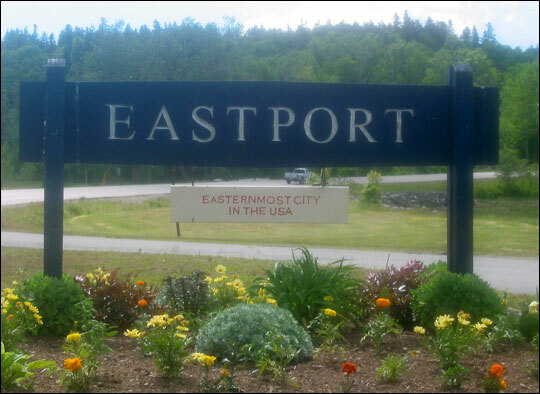 Like most island towns, Eastport is a tightly knit community, its bonds made stronger by hard work and difficult weather. So the arrival of a writer from New York definitely caught the attention of the locals. "We watched her from day one," laughs Mary Pottle, who owns a real estate agency. Someone shows up in a strange car with out-of-state plates: It sounds like something borrowed from the beginning of one of Graves' own mysteries. In fact, the author has a lot in common with Jacobia (Jake) Tiptree, the main character — and reluctant sleuth — of her Home Repair Is Homicide series. 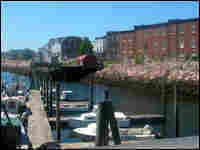 Both moved to Eastport to escape the fast life in New York, and both are fixing up old Eastport houses. Tiptree would prefer to spend her time glazing windows or taking a sledge hammer to the ancient upstairs commode, but it wouldn't be a mystery book if someone didn't turn up dead — and quickly. And Graves wouldn't be a mystery writer if she couldn't spot means, motive and opportunity as she drives around town. Stopping at the end of Water Street there's a beckoning glimpse of the Atlantic, dotted with fir-covered islands and a view to the shoreline of New Brunswick, Canada. In any other part of the country, this kind of coastline would be buzzing with jet skis and other pleasure craft. But Graves says not so fast: In her book Nail Biter, her heroine almost succumbs to the icy water when she gets into a skiff with a con man named Rickert. "It looks so pretty and so romantic [but] in fact it's just absolutely deadly," Graves says. "Not because you'll drown but because your body will just slow down and stop from the cold." To read the books, Eastport seems to be a pretty dangerous place. But despite the dead bodies Tiptree frequently encounters, real-life residents aren't sure of the last time there was a real murder on the island. And though one person recalled a shooting that happened back in the 60s and there's an occasional breaking-and-entering complaint, the door was locked at the police station in the center of town; no one was home. Overall, Eastport is a place where the customers have a key to the local breakfast joint, and they open it up to make their own coffee every morning. "You say ... 'Oh that's the city manager she's talking about,'" says Higgins, adding, "I'm just using that as an example. It's a small town and I don't want to get in any trouble." 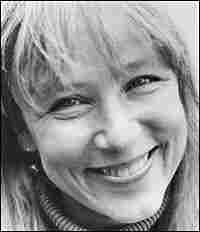 Though Graves insists all her characters are fictional (with two well-known exceptions), nobody believes her. 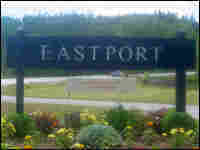 What they do believe is that her books and the occasional tourists they bring are good for Eastport. The books feel cozy, just like the town; when Jake Tiptree isn't solving crimes she's fretting over whether she has enough guest towels for a ladies' tea or who will help her dislodge the cast-iron bath tub she's gotten wedged in the upstairs landing. "I did once say in Jake's voice that in Eastport, if you need help, people will help you," says Graves. "That frees you up to count your punch cups if you need to." The Eastport Graves ladles up for her readers is picturesque, but not picture-perfect ... a lot like the Eastport you find when you drive down that long causeway to the island — give or take a few dead bodies. But Horace's death — murder, Dave reminded himself fiercely, his friend's brutal murder — wasn't all that troubled him. The thing he'd tucked into his glove compartment before leaving home seemed to broadcast its evil presence on a special wavelength that only police officers and car thieves could hear. Then he noticed the scrap of paper on his windshield, tucked under the wiper, and the fragments of red plastic littering the pavement at the rear of his car. Other people, I mean; ones who understood stopped drains, leaky pipes, and shutoff valves that when you turned their knobs — or in my case when you threw all your weight into breaking their rust encrustations — responded by shutting off something. And although I failed spectacularly in my attempt to remove the hideous old fixture — swung hard, the hammer bounced back up off the cast iron with a sound like the ringing of some massive gong, nearly taking my head off on the rebound — may I simply say right here that just trying to destroy an old bathtub with a sledgehammer turned out to be a heartwarming experience. 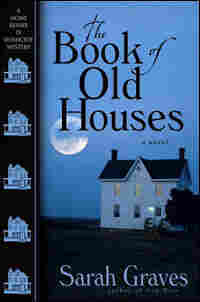 Excerpted from The Book of Old Houses by Sarah Graves Copyright © 2007 by Sarah Graves. Excerpted by permission of Bantam, a division of Random House, Inc. All rights reserved. No part of this excerpt may be reproduced or reprinted without permission in writing from the publisher.